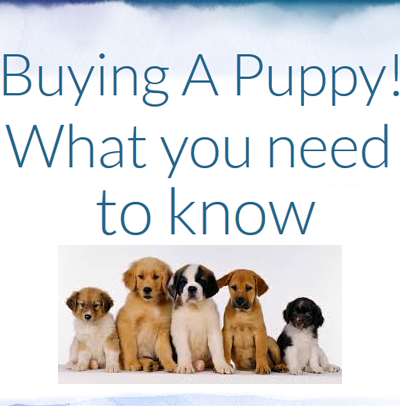 Buying a Puppy - what you need to know ! When a family decides to make that all important addition to their home with the purchase of a puppy, there is a lot of information out there and unfortunately misinformation about what it means for a puppy to have "papers" "registration" etc, what a purebred dog is and what is a crossbred dog. We hope to clarify the issues and help you make a more informed decision about what breed you want! Do you want a purebred dog or a crossbred dog. We also hope to make it easier for you so you know what questions you should be asking a breeder so that you know you will have the best chance of getting a healthy puppy and a long lived healthy companion for your family. Please visit our website for all our advice and information.